My post for this month is a spotlight of an awesome indie author I met last year. At the small, unassuming Snow College in Ephraim, UT I met the lively and fun Karen Hoover. Speaking of her books, isn't this a great cover? I love the kid's smile. Since that fateful day at Snow College, I have come to learn more about this talented author. Not only does she possess a great imagination, but also a very big heart and a great deal of fortitude. She continues to smile and write despite some serious health and family obstacles. She is definitely a great example to me of perseverance and dedication in the face of adversity, so I dedicate this months Indie Life to her. 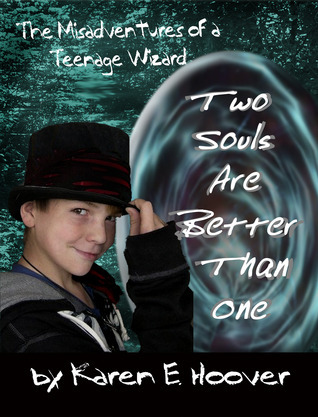 Karen writes Middle-Grade and YA fantasy adventures. Visit her blog, A Writer's Ramblings, to learn more about her and her books. Her cover is adorable. The story sounds great. How did I not see this? Wow, thanks so much! :D Totally lifted my spirits. You totally rock.